In design, as in society, there is a constant pressure to mimic the most successful among us. Just like some want to copy the look and style of their favorite celebrity, clients often want designers to copy elements (or even entire layouts) of the top websites. While it might make our clients happy and help us become even more proficient at our job – it’s not necessarily the most fulfilling feeling for creative people. No, real satisfaction among creative professionals comes from actually creating something. Even if it’s not 100% different from the last thing we created, we still want to put our own unique touch on everything we do. In fact, it can be quite a good thing to have some consistency in your work. A signature style is often the calling card of many types of artists. Painters, actors, and musicians can often carry at least some consistent traits from one project to the next. Web designers can do much the same. But in a world where so many are screaming “me too,” how can you ever develop your own signature style? Let’s look at some ways that you can break out of someone else’s mold and create your own. One of the best ways to start developing your own style is to start a project that’s just for you. Pick a subject that interests you and create something to honor it. You might start a blog about your favorite sports team or write some music reviews. Whatever the subject, you can get a real creative rush from this kind of labor of love. It doesn’t have to be an enormous strain on your free time, and it doesn’t even have to be widely shared with the public to be considered a success. You might find that it’s a bit freeing to create something that you have complete control over. Without anyone to tell you what to do, you’ll be able to experiment and try things you might not have attempted while working with a client. Personally, I’ve found that working on my own side projects over the years has led to discovering some tools and techniques that I’ve later implemented into my day job. Having a personal pet project should NOT be something that causes you stress, however. If your labor of love becomes, well, just labor, then you might have jumped in a bit too deep. This type of project should allow you to take a deep breath and help you remember why you love to be creative in the first place. The great thing about being a web designer is that there are numerous opportunities to learn all around you. With the amount of online tutorials and courses available, simply pick an interesting subject and go for it. 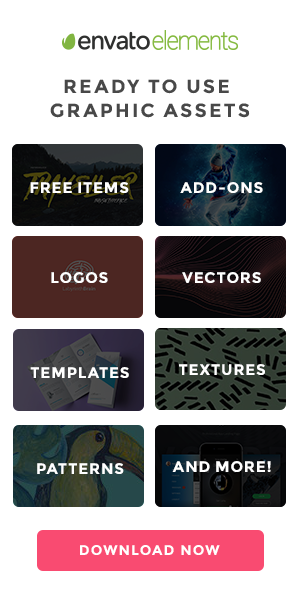 Even better is that most of these resources are completely free to use. So, even those of us on a tight budget can increase our knowledge. Making time to learn a new skill or improve an existing one can also be a journey into self-discovery. The more you learn, the more you’ll be able to further unlock your creativity and develop your own style. 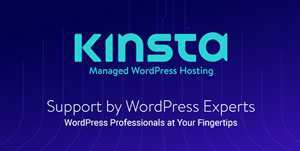 For example, in this age of utilizing CMS platforms such as WordPress, we are often reliant on third-party themes and plugins. While they can be incredibly powerful and useful, they won’t necessarily help your individuality stand out. By learning to create your own theme or plugin, you’ll be the one in the driver’s seat. Instead of working around someone else’s vision for how something should look or work, you’ll get to shape it all exactly the way you want. Being a busy web designer can sometimes feel like being a shut-in. You’re stuck in the office working so much that you start to miss out on other things. This type of lifestyle isn’t going to help you build your own identity. That’s why it’s so important for your mind and body to get out of that chair and experience a real change of scenery. If you enjoy nature, carve some time out on a weekend to spend outdoors. If that’s not your thing, go out and do some shopping or visit a museum. The main idea here is to get away from the day-to-day grind. Continuing to hammer away at your workload can sometimes become dull to the point of actually being counterproductive. Instead, find people and places that inspire you. When it’s time to get back to work, you’ll feel a renewed sense of purpose. So often, we look at other successful people and wish we could be just like them. However, it’s all about perception. We can look at someone else’s designs (or writing, lifestyle, etc.) and be a bit envious. We may even try to replicate what they’re doing. But, in reality, we’re only getting a tiny part of the overall picture. That person may be admirable for a number of reasons, but they’re still human and flawed – just like we are. And it may be that even they wish they had the style and skills of someone else. So while it’s a good thing to admire others – it’s ultimately about having the confidence in who you are that will allow you to build your own design identity.